Eagle Packaging Machinery LLC, announces that the company will operate under the new name EndFlex LLC, effective immediately. Company ownership and staff have not changed. 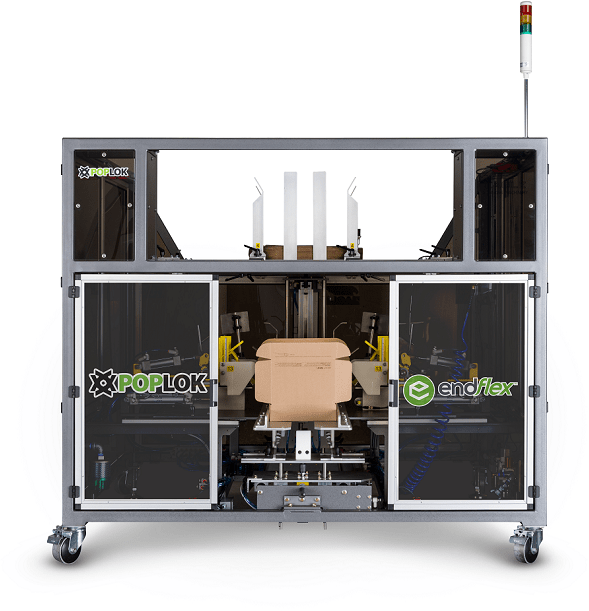 EndFlex (www.EndFlex.com), is a Florida-based manufacturer of secondary and end-of-line automated packaging solutions including case erecting, tray forming, case packing and robotic pick & place automation. “At our core, we have always manufactured flexible end of line solutions. The name EndFlex provides focus on what we do best – provide our customers with solutions tailored to their needs of today and tomorrow.” states Vice President Nicholas Taraborelli. “In a crowded market place of commodity like products, we continue to stand out as a supplier that listens, innovates and delivers on time and on budget”, adds Taraborelli.